This video by WongFu Productions really touched a soft spot in me. Watch it. Isn’t that true in the home business industry as well? What happened to good ole doing honest work to make money kind of business ethics and practices? 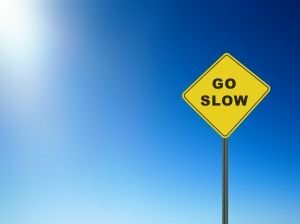 Take it slow – Do you truly CARE ENOUGH to take the time? I’m sorta an old-school kind of guy, and I truly believe that as a serious and committed entrepreneur, if you truly want to raise your income to the next level, quit getting ADDICTED to lusting over shortcuts. Then TAKE IT SLOW AND INVEST THE TIME to research and evaluate whatever business you are checking out from a business owner’s perspective. Simply put, look past the hype and look for the real reasons why that business opportunity will produce results you’re looking for if YOU work the business… can you get behind the message it’s delivering… particularly when it comes to building an online business. An online business is like any dirt-world / offline / brick and mortar business which any chance of success almost always comes as a direct result of a solid plan and a strong execution. What kind of “plan,” you may ask? The plan really is a list of steps that you intend on taking to MARKET and PROMOTE the business, whether it offers products, a service or a business opportunity… its associated costs, post-sale customer service and so on. “Trust, but verify” as used so frequently by former U.S. president Ronald Reagan, is the idea here. When someone offers you any type of legitimate business opportunity that person should have proper details about the opportunity ready for you. If you are unclear about something, ASK. Be absolutely cautious about anyone who only provides fuzzy descriptions of what the business opportunity is and how it works. What will you be selling? Is it a product, a service or a business opportunity? Are people hungry from whatever it is that you intend to be promoting? Could the average person pay those prices for that product/service under today’s economic conditions? Exactly how and why would prospective customers / clients and business partners find and use your website? What strategies are you intending to employ to promote and market the business and its products / services? What is the revenue model and what are your expenses? These are questions you should ask PRIOR to forking over your hard-earned dollars because you absolutely MUST “begin with the end in mind” or you risk getting sucked into yet another deal yet absolutely clueless as to how you can turn it into a real, profit-generating machine! You gotta know that just because a product, service or business opportunity comes with a fancy-looking website does not necessarily mean it is the holy grail the how to make money online question. What do YOU plan on doing to get people to visit that web site? What will it cost to drive targeted traffic your online store? How many unique website visitors does it take to generate one lead… and how many leads will convert into a successful sale? How about your average cost per sale (which then determines your profits)? Back in 2004, I joined my first network marketing program. An old-school 50 year-old company that cost me a tidbit over $300 to join, and I spent roughly $250 a month to “stay active” as a leader (the company has NO autoship requirement). The first year I made just under $500. Yeah… I was SLOW and had a lot to learn… remember, I was an aerospace engineer with limited people skills! Then next year, over $5000 (that’s 10x). And then the following year, over $25,000 (that’s 5x). And that was all done before the Internet. It took over SIX YEARS to create a solid 6-figure income, and I never looked back. In 2008 I decided I was tired of promoting my business the “old-fashioned” way alone… so I picked up Internet marketing, invested $10’s of $1,000’s, applied what I learned ASAP… and in 19 months, generated over 20,000 leads and $460,000 in sales. In 2010, I decided to launch a company to help other business owners in various industry create similar or better results using the simple, 5-step never-fail formula I adopted. And that business is also bringing in over 6-figures a year. 30 days ago, I decided to test this formula again by joining a popular affiliate program that promised to teach us how to make money blogging and, just 30 days later, I pocketed $3,444 in commissions with $450/month in residual… and I haven’t even fully employed my formula yet! You see, there is no shortcut to whatever amount of success I’ve been blessed with. Although it may see that the time gets shorter with each and every opportunity I moved forward to promote something – the reality is NONE of the latter results would have been possible had I chosen to NOT pay the price first with investment of time, money, and mental, physical and emotional energy into LEARNING and IMPLEMENTING. It’s been proven that you can get rich. And it’s been proven that you can get rich online OR offline. But take it slow to go fast, though. Because getting rich quick doesn’t exist so stop chasing it. Pick a product or business opportunity, investigate as thoroughly as you can, and then roll up your sleeves and do the work. I think you’ll be pleasantly surprised by how good it feels to finally get the results you’re looking for… like that boy in the video at the end.